An employer must seek an LCA for the approval of an H-1B petition. The LCA contains such information about the proposed H-1B employment as rate of pay, period of employment and work location. It also requires the employer to attest to certain conditions of employment. The employer must document compliance with LCA requirements in a publicly accessible file. Pursuant to INA § 212(n) (1), DOL will certify the LCA after having reviewed the application “for completeness and obvious inaccuracies” and, where sufficient, shall provide immediate certification. The petitioner may file a single LCA for multiple H-1B employees and locations, but each LCA is limited to one occupation with specified job duties. DoL requires petitioners to apply for the LCA on its Web site. has (a) provided notice of this filing to the bargaining representative (if any); or (b) if there is no such bargaining representative, posted notice of the filing in at least two conspicuous locations at the place of employment for a period of ten days. Prevailing and Actual Wage. This attestation obligates the employer to pay the H-1B employee the prevailing or actual wage, whichever is higher. In determining the prevailing wage, petitioner may rely on the surveys provided by local and state workforce agencies for the occupations under application or on any other legitimate source of wage data. The petitioner must list the specific source used for the wage determination. Employers are required to pay 100% of the prevailing wage with the sole exception relating to research positions in the not-for-profit sector. To determine the actual wage, the employer must identify other employees who are similarly employed possessing similar experience and qualifications. 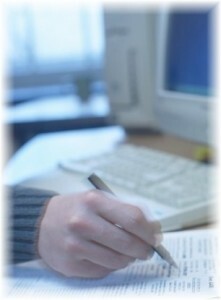 In addition, the employer must prepare an internal report explaining the business factors used to set the actual wage. An H-1B employer shall provide public access to the wage-determination report. In addition to the wage attestation, the employer is required to provide the H-1B employee with the same benefits as those offered to similarly situated American workers. An H-1B employer must also public access to the benefits plan. Strike. The employer must attest that there is no strike, lockout or work stoppage on the date the employer files the LCA. In addition, the employer agrees to notify the Employment and Training Administration (ETA) within three days if any such labor dispute occurs. The employer also agrees not to use the LCA to place any H-1B worker until the ETA determines that the labor disruption has ceased. that the LCA is available for public inspection. In the notice, the employer must state that complaints regarding the LCA can be filed with any office of the Wage and Hour Division of DOL. The notice must be sufficient in size and visibility and shall be posted in two or more conspicuous places, which would include, but not be limited to, locations in the immediate proximity of wage-and-hour or occupational safety and health notices. The hard-copy notices must be posted within thirty days of the filing of the LCA and remain posted for a total of ten days. Alternatively, the employer may satisfy the notice requirement by sending a one-time electronic notice. The employer may either post such notice on an electronic bulletin board or intranet, subject to the same time requirements as those of the hard-copy postings, or provide direct, individual notice, such as by sending a one-time, electronic mail message to affected employees. If the employer places the H-1B employee at a new worksite not contemplated at the time the original LCA was filed, he is required to repost either by hard-copy notice or electronically. However, the employer may be required to obtain approval of a new LCA and H-1B petition if the H-1B employee continues to work at the new place of employment in excess of the time allowed by the law. The LCA also includes the employer’s promise that he will give the H-1B employee a copy of the certified LCA (Form ETA-9035) and, if requested, the LCA cover pages, no later than the day the H-1B employee reports to work. Copy of the certified LCA signed by the H-1B employee attesting to having received it. A list of the exempt employees when the employer is an H-1B dependent or a willful violator but indicates that the LCA is for exempt non-immigrants. At least fifty-one full-time equivalent employees and fifteen percent H-1B employees. The regulations set forth the specific rules for calculating H-1B dependency and the documents used in this calculation. If the employer meets the test above, then he is not required to retain documentation of the full-dependency calculation. Exempt H-1B Nonimmigrants. Title 8 USC § 1182(n) (3) (B) provides for two categories of H-1B nonimmigrants exempt from the dependency requirements: 1) those who receive annual wages, including cash bonuses and similar compensation, of $60,000 or more; and 2) those who have attained a master’s degree or higher (or its equivalent) in a specialty related to the intended employment. An H-1B employer’s attestation requirements are different for exempt and non-exempt H-1B nonimmigrants. Exempt H-1B nonimmigrants must be taken into account in computing dependency. However, if the prospective H-1B is exempt, the employer need not make the additional attestations on the LCA, even if the employer is an H-1B dependent. The employer must, however, retain a list of exempt H-1B employees in a publicly accessible file. The definition of “employer” includes any group treated as a single employer under §414(b), (c), (m) and (o) of the Internal Revenue Code of 1986 (IRC). These subsections treat as a single employer (for purposes of qualification of pension and profit sharing plans) legally separate entities, whether incorporated or not, under common control and ownership or affiliated service groups. Additional Attestations for H-1B Dependent Employers or Willful Violators. A willful violator is an employer who has committed a volitional failure or misrepresentation in LCA compliance in the previous five years. Even if an employer is a willful violator, the employer is not required to make these additional attestations on an LCA for an exempt H-1B employee. Employers who are H-1B dependent or willful violators must make two additional attestations on the LCA. These are attestations of 1) no displacement of protected American workers and 2) prior recruitment. Employers subject to these attestations must also retain documentation of these additional conditions in the publicly accessible file. Protected classes of American workers include American citizens and nationals, permanent residents, refugees, asylees and legal immigrants. Attestation of No Displacement. Employers who are H-1B dependent or willful violators must not have displaced American workers for a period of ninety days prior to filing the LCA to ninety days after having filed the visa petition pursuant to 8 USC § 1182(n)(1)(E). Displacement takes place when an employer removes or “lays off” an American worker from a job essentially equivalent to that offered to the H-1B nonimmigrant. To be essentially equivalent, the job must involve, to a great extent, the same responsibilities, be held by an American worker with substantially equivalent qualifications and be in the same area of employment. The same area of employment includes locations within a metropolitan statistical area or normal commuting distance. A layoff means a termination of a worker for reasons other than inadequate performance, violation of work place rules, voluntary departure or retirement, expiration of a grant or contract save one created to circumvent the layoff provision. A layoff, however, does not result when the employer offers the worker a similar position at equivalent or higher terms in lieu of termination. Attestation of Prior Recruitment. An H-1B dependent employer or willful violator must also attest to prior, good-faith efforts to recruit American workers for the jobs for which H-1B workers are sought. The recruitment must have been at prevailing wages, and the employer must extend job offers to any American applicants equally or better qualified than the H-1B nonimmigrant using normal, customary, legitimate, relevant and nondiscriminatory selection criteria. The recruitment must be both internal and external and include at least some active recruitment. An employer who is H-1B dependent or a willful violator must retain documentation of both the no-displacement and prior-recruitment attestations in a publicly accessible file. Please note, though, that the attestation of prior recruitment is not required if the H-1B nonimmigrant is exempt. An employer must pay a fine of $1,000 and is prohibited for one year from filing immigrant and nonimmigrant visa petitions for failure to meet the requirements for strike or layoff attestation. In addition, this fine applies to substantial failure to have met the working-condition, displacement or posting or recruitment attestations as well as to misrepresentation of a material fact in the LCA per INA § 212(n)(2)(C)(i)(I) and (II). An employer must pay a fine of $5,000 and is prohibited from filing immigrant and nonimmigrant petitions for willful failure to meet any attestation or for misrepresentation of a material fact in the LCA per INA § 212(n) (2) (C) (ii) (I) and (II). Further, in accordance with INA § 212(n)(2)(C)(iii)(I) and (2), an employer must pay a fine of $35,000 and is prohibited from employing H-1B workers for three years for willful failure to have met an attestation condition or willful misrepresentation of a material fact in an LCA if, in the course this failure or misrepresentation, an American worker is displaced during the period of ninety days before and ninety days after having filed the H-1B visa petition. In addition to fines and prohibition, willful violators may be randomly investigated for five years. Additional Violations at Risk of Penalties. A petitioner will be penalized if he retaliates against a whistle blower who discloses information to the employer or to any other person who, the employee reasonably believes, violates INA §212(n). Also protected by the whistle-blower qui tam provision are current and former employees as well as applicants who cooperate or seek to cooperate in a proceeding or investigation concerning the employer’s compliance with INA §212(n). The employer violates the whistle-blower provision by intimidating, threatening, restraining, coercing, blacklisting, discharging or, in any other manner, discriminating against a whistle blower. Violators of these provisions may be fined up to $5,000 and prohibited from filing petitions for two years. An H-1B nonimmigrant whistle blower will receive an opportunity to continue working in the United States following retaliation by the employer. In addition, the law requires the employer to pay a termination penalty to the H-1B employee if the employer requires an H-1B employee who leaves his employment early to pay the employer money. Further, USCIS prohibits unpaid bench time (employer mandated unpaid time off work) unless it was requested by the H-1B employee for personal reasons (maternity, illness, etc.). Further, an employer is liable if he places a nonexempt H-1B worker with another employer, and that subsequent employer displaces an American worker during the ninety day period after having filed the LCA. If the employer fails to offer a job to a qualified American worker or misrepresents this attestation as required by INA §212(n)(1)(G), the employer may be fined $1,000 or $5,000 per violation and disbarred for one or two years, depending on its severity and nature. Roving Employees. Roving H-1B employees are those who work at several work locations. If an H-1B employee travels to a new location for training or development activity, a new LCA is not required. If the roving H-1B employee goes to a new site where he intends to work for an extended period of time, then the employer must either request a new LCA or repost the old one and adhere to the short-term placement rules permitting an H-1B employee to travel up to sixty days per year to another place of employment. Section 20 CFR § 655.17 provides for a new type of H-1B employee whose work is “peripatetic” in nature, in that the normal duties of the occupation require frequent travel. Peripatetic workers may travel constantly but may not spend more than five days in one place. For such workers, a new location is not considered a new worksite and, therefore, does not require a new LCA. Likewise, H-1B workers who travel occasionally on a casual, short-term basis (not exceeding ten days) to a new location are not considered to have a new worksite with new LCA requirements. Employers are required to pay their employees’ travel expenses for each day they travel, including weekends.